Kind Regards to you too! Here is a prime example of how sites ignore our complaints when designers try to protect their Intellectual Property & request takedowns of illegally copied designs. Their "Kind Regards" are anything but & we'd like to suggest where they can stick them. You have requested that (site name) takes action in regards to a specific website, since you find that there is illegal content on the website or you have asked to have protected customer information handed over to you. We have no possibility or intention of being a judge in these cases, and therefore we advise you to direct your enquiry to the owner of the website which can be seen via the ordinary who-is lookup or to go via the system of justice (enforcement court) and get a court order against the website owner from a EU or US court stating that the owner should remove the content. In the case of customer information, we ask that you provide a court order stating what customer information is to be handed over. Upon receipt of a court order we will act responsibly and follow the directions of that court order. We also want to draw your attention to the fact, that a website with its contents can be moved to another webhost/registrar within a few days and that a court order against the website owner in this situation is a more useful tool for you to pursue your rights. If you wish, we can forward a message to the domain owner. If you want us to do this, we ask that you write out the message to be forwarded in full as we do not word or make changes to the forwarded message in order to avoid any confusion or misunderstandings. 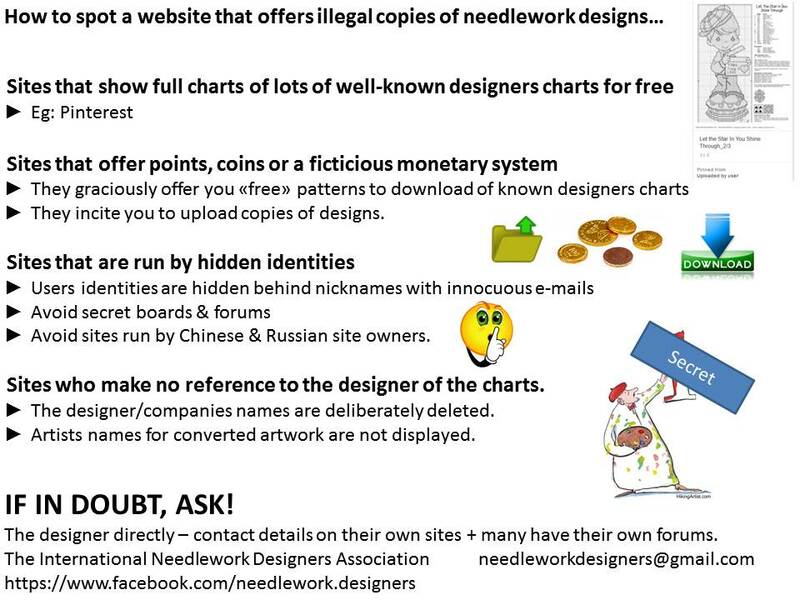 "I didn't know the site contains copyright violations"
We have put together a short summary to try to assist people in what to avoid on forums or web sites as we have received comments recently from people using Chinese sites saying they didn't know the charts are illegal copies. It is a non-exhaustive pointer guide. The countries specified are examples as obviously not all sites from these countries are violating copyrights but unfortunately the worst sites are found on their servers & takedown requests are often totally ignored. 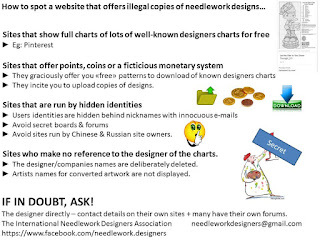 Mainly it is common sense but sometimes it can be hard to tell which is why we recommend anyone in doubt to ask either a designer, a specialized forum or the Association. This is a basis for educating and debate on the subject, as most of our posts are.